Nuxe recently came out with a new product on the Bulgarian market. Here’s an anti-age eye cream which my eye contour fell in love with! 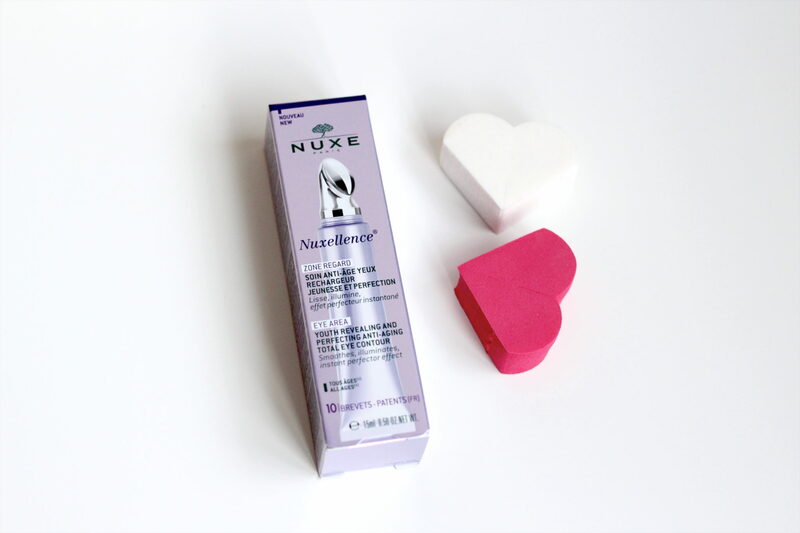 Nuxellence Zone Regard is an eye cream for day and night care which soothes and brightens the skin around the eyes. The active ingredients are extracts from passion flower and hyaluronic acid for a younger looking skin. When applying it, first use the metal applicator which cools off the skin, after that finish off with gentle tapping with your fingers. The tube is handy and is easy to carry with you in your purse. Whom do I recommend it to? It’s suitable for women with aging skin, who are in or after their 30s. You’d like that the cream is dense, but not much of it is needed so it doesn’t feel heavy on the eyes. It gives a healthy glow in the eye area and pigments a little, too.